Wicked Audio, manufacturers of aesthetically appealing headphones, has now partnered with Peavey Guitars, manufacturers of musical equipment and accessories, to provide consumers the ultimate in music entertainment, Rockmaster. 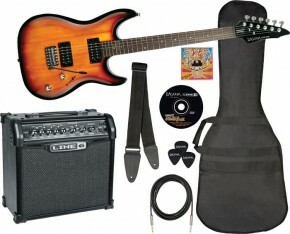 A complete stagepack, Rockmaster is a 5-in-1 music bundle that allows you to simply plug and rock. 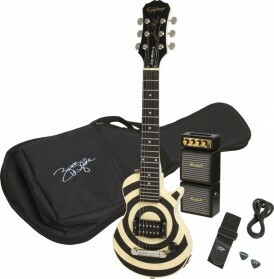 It includes all of the components necessary for a “one-man band,” a guitar, internal two channel headphone amplifier, cable, built-in digital tuner, strap, picks, and a GT-5 amplifier which features an MP3 input to allow you to play along with your favorite tunes. An instructional DVD is also provided to provide musicians tips and tricks for rocking out. Wicked Audio’s famous Jaw Breakers earbuds (a $17.99 value) will also be included in each Rockmaster pack, to complete the music making kit. A black pair of these stylish, noise-isolating earbuds will be packaged with Rockmaster to provide superb sound during jam sessions. The Jaw Breakers feature a gold-plated connector as well as a lengthy 1.2 meter cord to ensure the utmost flexibility while rocking out. The Rockmaster Limited Guitar Stage Pack is an affordable guitar pack with an awesome solid black and white finish designed to make you stand out. The maple neck and rosewood fretboard enable fast rhythm and lead playing. The sealed tuner gears and adjustable bridge keep your guitar in tune longer. The GT-5 amplifier features an MP3 input to allow you play along with your favorite songs. 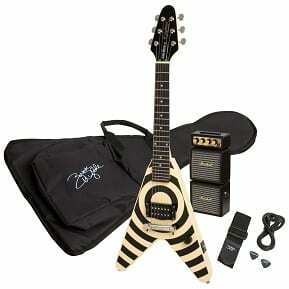 Pack includes picks, a strap and cable so you’re ready to rock right out of the box. It’s also a Peavey, so you’re assured of quality and reliability. Rockmaster is available this fall with an MSRP of $199.99, with additional select national retailers to come next year. Learn more about Wicked Audio at www.empirebrandsinc.com.